Participation is all about growing the game through non-traditional venues in and around towns and cities without the need of a club membership fee. LTA research suggests that players don't want to travel further than 15 minutes to play tennis so MK Inclusive Tennis brings tennis to you via schools, parks and community venues in your area. We run after school sessions at satellite clubs throughout Milton Keynes and have also received funding from local parish councils to provide tennis within their areas. The mission of MK INCLUSIVE TENNIS PARTICIPATION is to provide tennis in a friendly and safe environment to those who do not have access to a local tennis club as well as socially or financially disadvantaged children and adults of all ages and abilities. We aim to provide the opportunity to all to access and play tennis whilst promoting higher self-esteem, optimism, a healthier lifestyle, discipline, responsibility and teamwork. 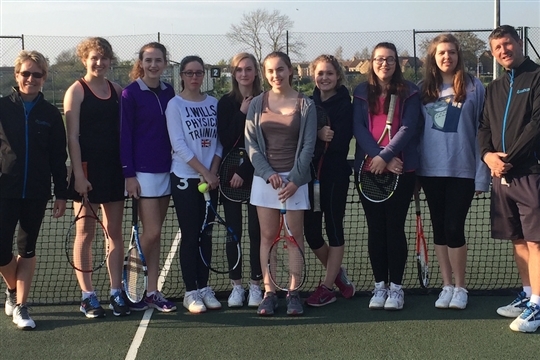 We run tennis at school satellite clubs, as in-curriculum or after schools clubs at primary schools and in community venues throughout Milton Keynes. Please go to our programmes page for details of sessions in and around Milton Keynes that anyone and everyone can join. We were delighted to receive funding last year from the MK Community Foundation to deliver tennis in schools in socially and financially deprived areas of Milton Keynes during the summer. We had over 800 children in 5 schools benefitting from tennis coaching free of charge. Many of these children had never had the chance to play tennis before and thoroughly enjoyed the opportunity to give it a go. This summer, we are repeating this initivative in a different area of Milton Keynes and are currently bringing the fun and enjoyment of tennis to many more children. "Sorry to find out it ended today I thought there was one or two more sessions..the boys will be dissapointed! It is a great scheme and would love to see it come back..would love it if other sports also offered similar opportunity...we are grateful to the Parish council for making it affordable too...kids of low income families miss out on too much as it is..many thanks"
"My daughter has enjoyed the tennis sessions and it would be lovely if you could let us know if you have anymore sessions in the future." "It was great experience and my son really love it. Please contact me if you will have any tennis session again." "Just wanted to say how much my son has enjoyed his 4 sessions at Bradville community centre with coach Justin!! So sad there aren't any more..."